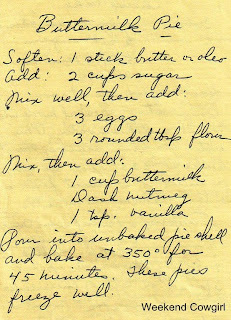 When, I was growing up around my grandmother in East Texas in 1960..."Folks", She will cook morning, noon and supper. No fast food here! She was one of the best cook around. I could sit and watch her cook in her country kitchen all day long. 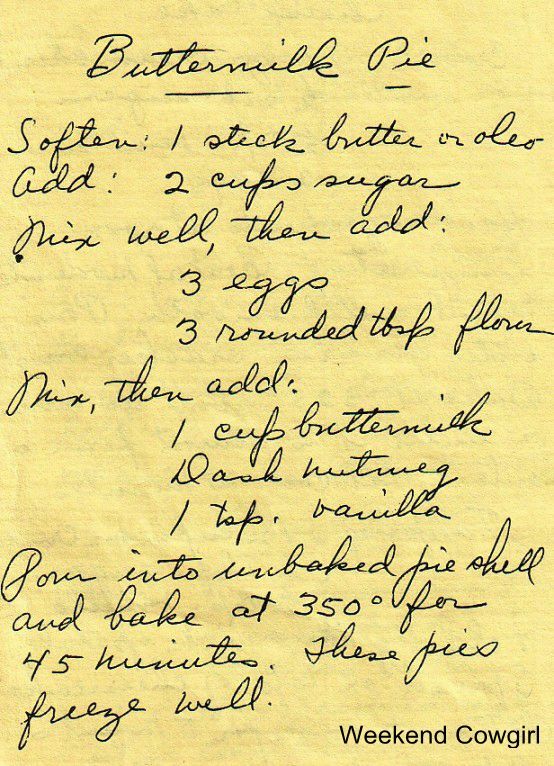 My grandmother could turn a dish into a master piece ........ One day she bake a Buttermilk pie for dinner, A Buttermilk pie is a custard-like pie. Traditional of the United Kingdom, it almost unknown today but is now a traditional pie of the southern States. 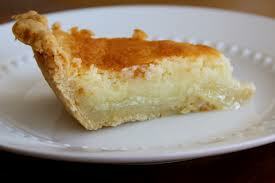 When I taste the Buttermilk Pie for the first time it was so creamy, sweet and tangy... Good job Grandma! 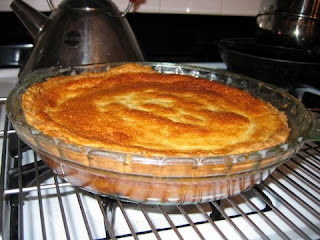 Recipe for Buttermilk Pie....Remember a Change sometime don't hurt. Weekend cowgirl has the same recipe my grandma...You go gurl!